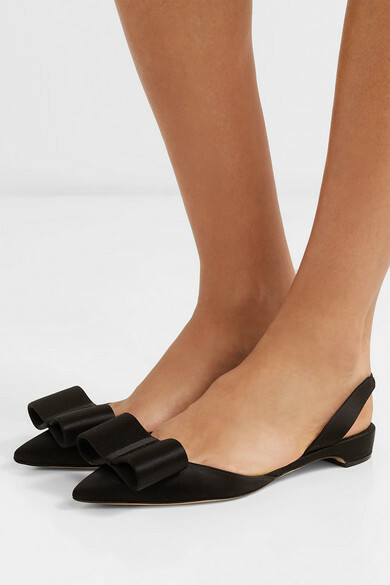 Paul Andrew's 'Rhea' flats are updated for the new season with an exaggerated bow at the pointed toe. 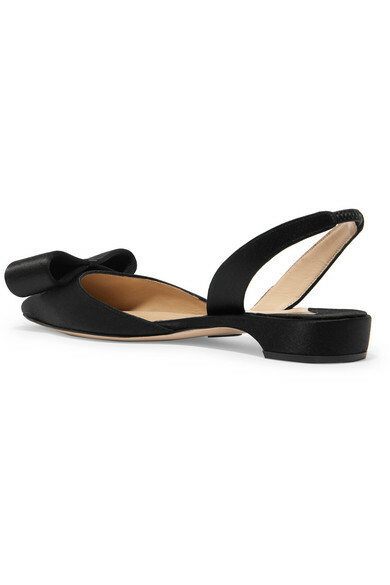 This pair has been crafted in Italy from glossy black satin and has an elegant slingback strap that secures the foot. 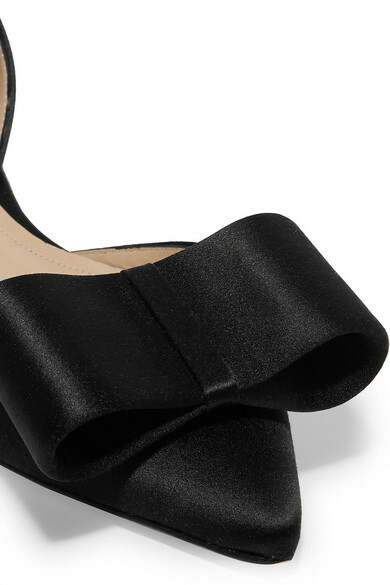 They're such a fun option for festive parties and events if you prefer to skip heels. 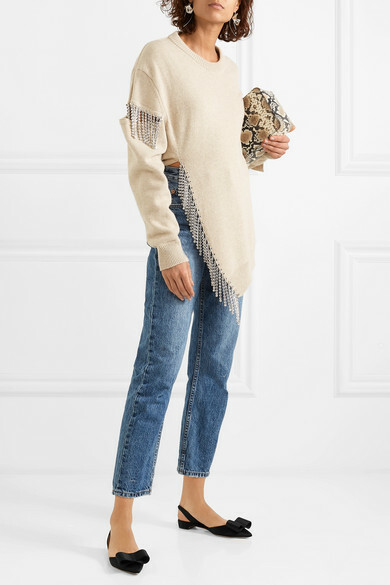 Shown here with: Christopher Kane Sweater, Ksubi Jeans, REJINA PYO Tote.